Stand Up To Cancer's sixth biennial telecast on Friday, September 7th (8:00 – 9:00 PM ET/PT) has added more names to its star-studded lineup. 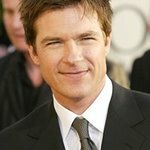 Jason Bateman, Beth Behrs, Julie Bowen, Josh Brolin, Kaley Cuoco, Jesse Tyler Ferguson, Max Greenfield, Jon Hamm, Mark Harmon, Sarah Hyland, Adam Klein, Tyler Labine, Diego Luna, Sonequa Martin-Green, Dave Price, Keanu Reeves, Tracee Ellis Ross, Winona Ryder, Jimmy Smits, Eric Stonestreet, Alison Sweeney, Bree Turner, Sofia Vergara and Marlon Wayans are coming together in the fight against cancer. 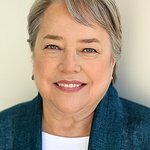 They join an extraordinary list of previously announced participants including Mahershala Ali, Kathy Bates, Katie Couric, Jennifer Garner, Tony Hale, Marg Helgenberger, Ed Helms, Ken Jeong, Marlee Matlin, Matthew McConaughey, Maria Menounos, Jillian Michaels, Trevor Noah, Dak Prescott, Italia Ricci, Rob Riggle, Karla Souza, David Spade and Keith Urban. The telecast will feature three musical performances, one by 25-time GRAMMY Award winner and activist Stevie Wonder, one by GRAMMY-winning and 6-time reigning CMA Country Vocal Group Little Big Town, as well as one by 11-time GRAMMY-nominee and cancer survivor Charlie Wilson. This year’s fundraising event will take place at The Barker Hangar in Santa Monica, CA, with a creative design and production bringing the experience to life for audiences tuning in at home. The historic space will feature a sprawling main stage with Stand Up To Cancer’s animated graphics and SU2C brand colors and other touchpoints layered into every facet of the set and design. Throughout the show, SU2C will bring viewers into the backstage hub, an interactive space dedicated to connecting celebrities from TV, film, sports, music and digital influencers with the public via traditional phone and socially through Facebook, Instagram and Twitter.